Linda Ostman Parchert has a birthday today. 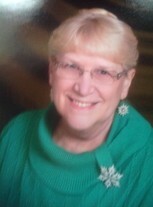 Linda M Wilt Free posted a message on Linda Ostman's Profile. Happy birthday Linda! From one Linda to another, I hope you have a great day. Linda Ostman Parchert has left an In Memory comment for Michael Hillyer.